The 3rd of the 5 Catching Fire stills from TheHungerGamesExplorer.com has now been unlocked and disappointingly, it's something that we have already seen before. 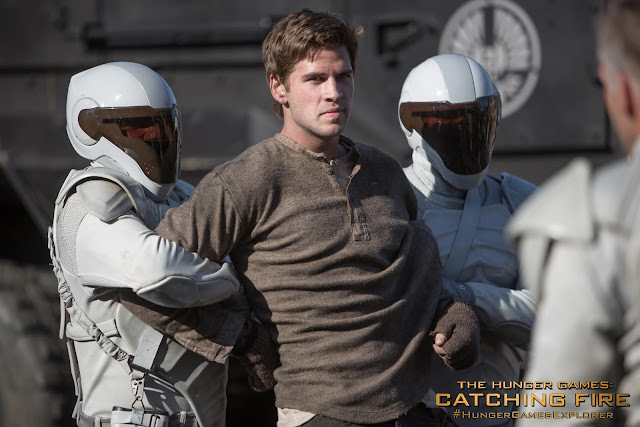 It features Gale with the Peacekeepers, the same image that was originally released by Entertainment Weekly in January together with 5 other images (click here to see them), although this one is untagged and of higher resolution. If you haven't seen the other stills that were released this week, click here and here. Now we're wondering if we'll get any brand new stills before the trailer this Sunday.